BibSonomy Blog: Customize your CV page! 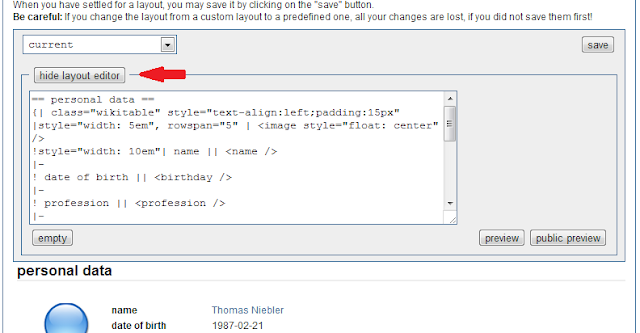 in release 2.0.39, we changed the way BibSonomy's CV page (see http://www.bibsonomy.org/cv/user/<your username>) works. 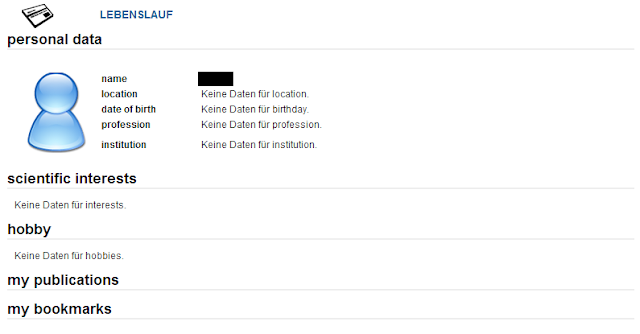 Before this release, we offered a static web page with information taken from your user profile. The look and feel was predefined and could not be changed (see figure 1). 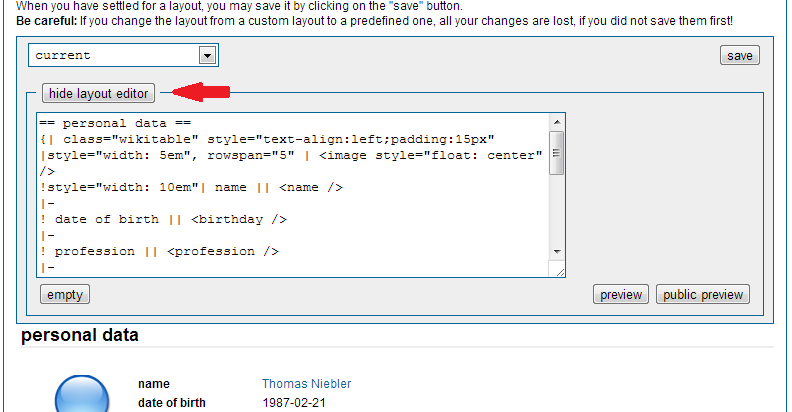 With the advent of BibSonomy 2.0.39, it is now possible to customize the design of your CV page. We offer a set of exemplary layouts from which you can choose one to instantly prep up the way you're presenting yourself on BibSonomy. If you are a more advanced user, you can also lay a hand on the design itself by creating your own CV page. In the following, we will give you a short overview about the two ways to adapt your CV page to your personal needs. If you are fine with one of our standard layouts, you can easily choose and save one to have it presented on your CV page. 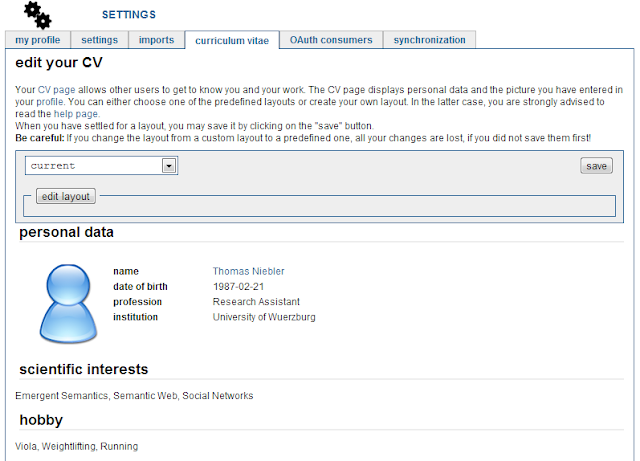 Figure 2: The settings page for your BibSonomy CV. The gray part contains all the tools to edit your CV. You can preview your changes directly below. 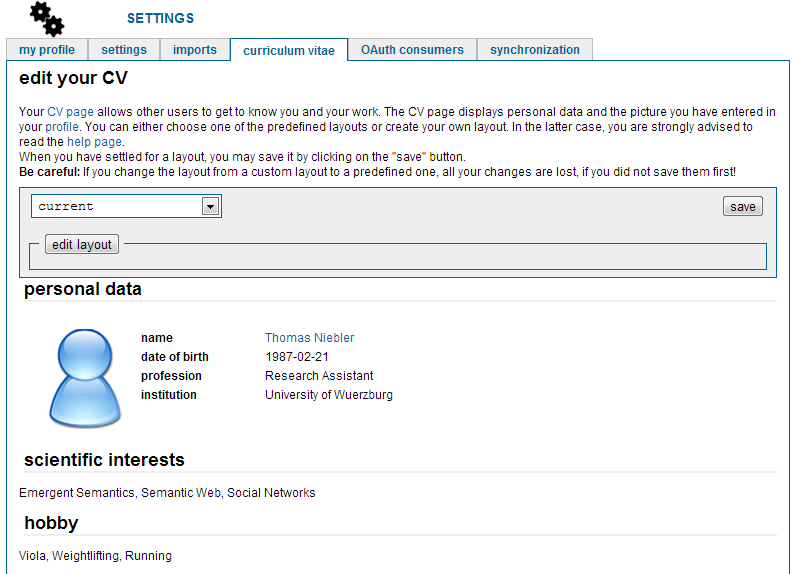 For this, direct your browser to the CV settings in BibSonomy. As depicted in figure 2, you see a short help notice at the top and the editing area as a gray part below with a dropdown menu, where you can choose a design template (see figure 3). Below the gray window, you see a preview of your CV, i.e. what it would look like to the public if you saved your changes. Changing the layout will automatically render a new preview. Figure 3: Choose a standard template according to your likes. If you found a template you like, you can save it as your default CV layout by clicking on the save-button on the top right. If you're keen on changing a bit more than only tiny bits of your CV, you can choose the option to edit the current layout or maybe even create a new, customized one by clicking on the "edit layout" button (see figure 4 for this). In this layout editor, you may change every bit you like about your CV. The only thing you'd need some experience with is the Wiki Markup Language (all the things on http://en.wikipedia.org/wiki/Help:Cheatsheet work fine). We also offer a range of custom XHTML tags. You can find the list of supported tags in the BibSonomy help. These tags make it easier for you to reuse often needed information you already defined in your user settings page on http://www.bibsonomy.org/help_en/CVWiki. After you entered your changes, you can either preview your CV by clicking on the corresponding buttons in the bottom right corner or you can save it directly by using the "save" button in the top right corner of the editing area. If everything is OK, you can then view your shiny new CV on http://www.bibsonomy.org/cv/user/<your username here>. We also offer the same functions for group accounts. We hope you can make good use of that feature. Over time, we plan to add some treats like extra tags or some help buttons to easily insert frequently used code parts to make the use of the editor more comfortable. 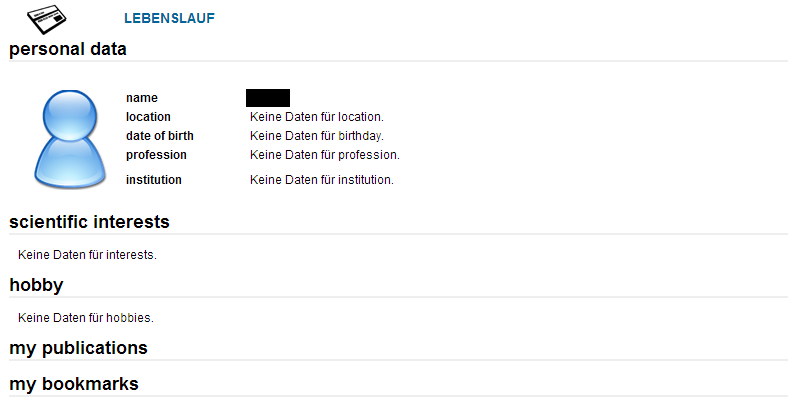 New layouts are also on our wishlist.